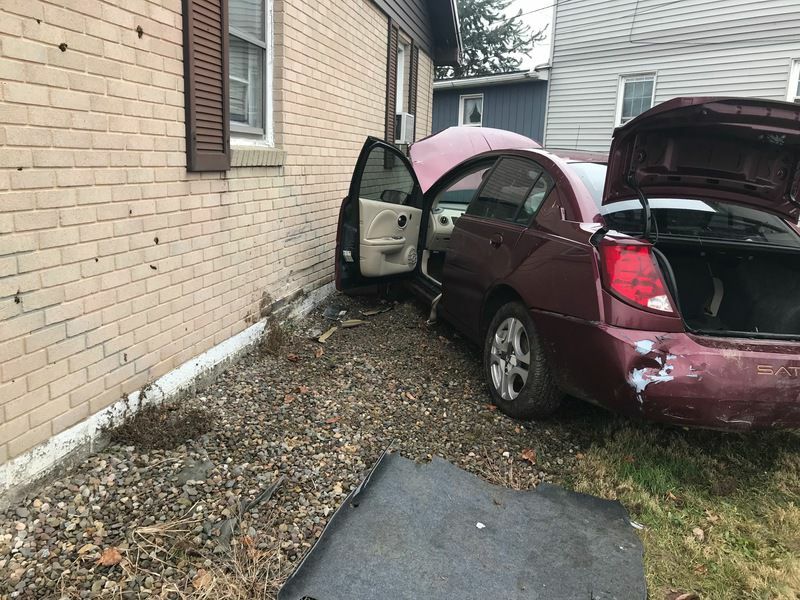 SELINSGROVE — Gerald Baldwin III heard the sound of screeching tires, a few loud thunks and then a “boom” as a vehicle slammed into the side of his Orange Street home Tuesday morning. “The whole house shook. I looked out my bedroom window and saw the hood of a car,” said Baldwin standing on his front lawn near the smashed Saturn. His father, Gerald Baldwin II, was asleep in an adjacent room when the crash happened. The driver of the vehicle, Dave Chohany, of New Oxford, had just repossessed the Saturn and was traveling on Route 522 toward the intersection of South Market Street. Traveling behind him was a friend, Ron Davis, of Orrtanna. Chohany believes Davis suffered a medical emergency, causing him to lose control of his vehicle and ram into the rear of the Saturn. “I heard his motor revving,” he said, describing how the impact caused him to veer off the road, onto a patch of grass, across Orange Street and into the side of the Baldwin’s brick 1105 Orange St. home. The vehicle driven by Davis continued to travel toward the intersection and eventually ended up on Selinsgrove Ford property. Chohany was shaken but uninjured. “I just hope Ron is okay,” he said. Davis’s condition was not immediately known.